A expensas de que lo que hiciera Carlse, la partida de la última jornada era el decisivo duelo entre el tercer clasificado, Caruana y el líder, Karjakin. 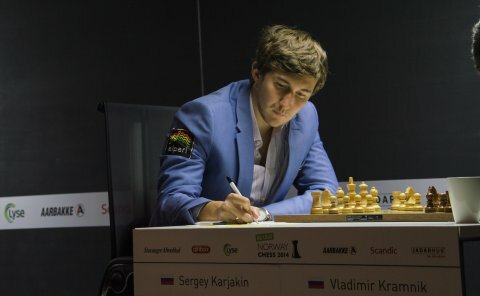 Si la partida terminaba en tablas y el campeón mundial ganaba al colista Agdestein, se tendría que celebrar un duelo a rápidas entre Carlsen y Karjakin. Pero por otra parte, también Caruana tenía sus chances, por lo que no era fácil acertar con los pronósticos. El maestro invitado en el ICC chessclub.com fue el MI Michael Rahal, comentarista ya veterano del canal. 1. d4 Nf6 2. c4 e6 3. Nf3 b6 4. g3 Ba6 5. b3 Bb7 6. Bg2 Bb4+ 7. Bd2 a5 8. Nc3 O-O 9. O-O d6 10. Qc2 Nbd7 11. Rfe1 Bxc3 12. Bxc3 Be4 13. Qb2 c6 14. Rac1 h6 15. Bf1 b5 16. Bd2 bxc4 17. bxc4 Re8 18. Red1 Qc7 19. Qa3 c5 20. Bxd5 33. cxd5 Nb6 34. Rbc1 Na4 35. Qd2 Nc3 36. Rxc3 bxc3 37. Qxc3 Rxa2+ 38. 1. d4 Nf6 2. c4 g6 3. g3 Bg7 4. Bg2 c5 5. d5 O-O 6. Nc3 e6 7. Nf3 exd5 8. 8. Bb5+ Bd7 9. a4 Bg7 10. O-O O-O 11. Ba3 b6 12. dxc5 bxc5 13. Qd5 Bxb5 14.
axb5 Nd7 15. Rfd1 Rfd8 16. Ng5 e6 17. Qc6 Qxc6 18. bxc6 Ne5 19. c7 Rdc8 20. 15. Qc2 Rd8 16. Bb2 a4 17. Rfc1 Nd6 18. Nde4 Nf7 19. Ne2 Bf8 20. h4 Rb8 21. Bxa3 33. Nxb6 Kf7 34. Rd1 Ke7 35. Nd5+ Bxd5 36. Rxd5 Rd8 37. Rxd8 Kxd8 38. 1. d4 Nf6 2. c4 e6 3. Nf3 d5 4. e3 a6 5. b3 c5 6. Bb2 cxd4 7. exd4 g6 8. Bd3 Bg7 9. O-O O-O 10. Nbd2 Nc6 11. Ne5 Bd7 12. Ndf3 dxc4 13. bxc4 Qc7 14.
a4 Rfd8 15. Qb3 Nxe5 16. Nxe5 Bc6 17. Rfd1 Nd7 18. f4 Nxe5 19. fxe5 Rd7 20. Be2 Qd8 21. a5 Rc8 22. d5 exd5 23. Bg4 d4 24. Bxd7 Qxd7 25. Rxd4 Qe7 26. Re1 Re8 27. Rf4 Qc5+ 28. Bd4 Qxa5 29. Qc3 Qxc3 30. Bxc3 Bh6 31. Rf2 b5 32. 38. Rxa8+ Kg7 39. Ra5 Bb6 40. Ra6 Bg1 41. h3 g5 42. g4 Bh2 43. Ra8 h6 44.
dxe4 15. g5 hxg5 16. Rxg5 Nfd7 17. Rxg7 exf3 18. Nxe6 fxe6 19. Bd3 Bf6 20. 8. O-O O-O 9. Rc1 b6 10. cxd5 cxd5 11. Na3 Ne4 12. Qe3 Ba6 13. Ne5 Nd6 14. Nc2 Nxe5 15. dxe5 Nc4 16. Qd4 Qe7 17. b3 Na5 18. e4 dxe4 19. Bxe4 Rac8 20.
a5 27. Rc1 Qd7 28. bxa5 Nxa5 29. Rxc8+ Qxc8 30. a4 bxa4 31. Qxa4 Qb7+ 32. Qb2 51. Qg5+ Kh7 52. Qe7+ Qg7 53. Qxe6 Kh6 54. 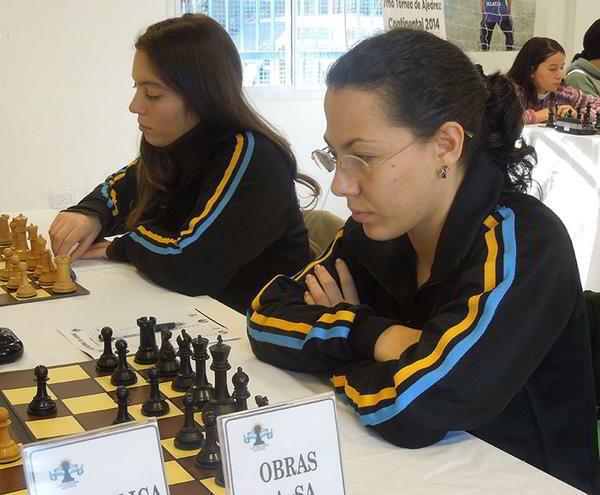 Qe8 Qa1+ 55. Kg2 Qb2+ 56. 1. d4 Nf6 2. c4 e6 3. Nf3 b6 4. g3 Ba6 5. b3 Bb4+ 6. Bd2 Be7 7. Nc3 c6 8.
e4 d5 9. Qc2 dxe4 10. Nxe4 Bb7 11. Bc3 Nbd7 12. Nxf6+ Bxf6 13. Bd3 c5 14. 26. Kg2 a5 27. Ra4 Ra6 28. Re3 Rf8 29. Rc4 a4 30. b4 a3 31. Qxd5 Nxd5 32. Rb3 Rfa8 33. b5 Rb6 34. Nd7 Rb7 35. Nc5 Rb6 36. Na6 Kf8 37. Nc7 Ra5 38. 44. b6 f6 45. Rc7 Rxc7 46. bxc7 Rc5 47. Re7 g5 48. Kf3 Rc3+ 49. Ke2 Kg4 50. 8. h3 e5 9. Nb3 Be6 10. Be3 Be7 11. f4 exf4 12. Bxf4 Nc6 13. Qe2 Nd7 14. 20. Rh3 Bf6 21. c3 Rfe8 22. Nd4 Qc5 23. Nf5 d5 24. e5 Bxe5 25. Qg4 g6 26.
h5 Qf2 27. Nh6+ Kg7 28. Bc1 f5 29. Qf3 Qxf3 30. Rxf3 Rad8 31. g4 d4 32. 8. dxc5 Bxc3+ 9. bxc3 O-O 10. Qb4 h6 11. Bh4 Re8 12. e3 Re4 13. Qa3 Qe7 14. Rxd4 21. cxd4 Nce4 22. Qxe7 Rxe7 23. Nxe4 Nxe4 24. Bh2 Nc3 25. Bf1 Re6 26.
a4 a5 27. Bb8 Rc6 28. Ba7 Bc2 29. Bb5 Re6 30. Rc1 Bxa4 31. Rxc3 Bxb5 32. 1. e4 e6 2. d4 d5 3. 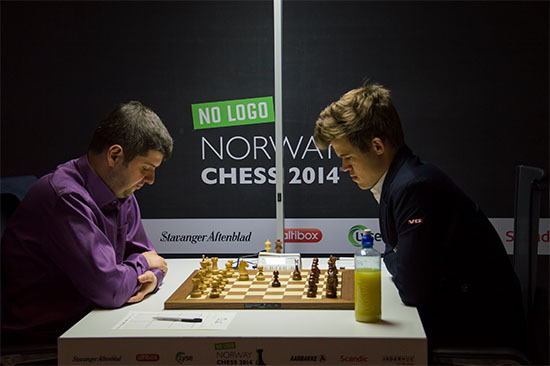 Nc3 Nf6 4. e5 Nfd7 5. f4 c5 6. Nf3 Nc6 7. Be3 cxd4 8. 32. Qc3 Qb5+ 33. Qb3 Qc5 34. a3 Kf7 35. Qd3 Qc6 36. Kb3 h5 37. Kb4 h4 38. 1. c4 Nf6 2. Nc3 e6 3. e4 d5 4. e5 d4 5. exf6 dxc3 6. bxc3 Qxf6 7. d4 e5 8. 15. Rf4 Nc5 16. Rxf5 Bxf5 17. Nd4 Bd7 18. Kf1 Bd6 19. Nb3 f6 20. Be3 b6 21. Nxc5 bxc5 22. Qxd3 O-O 23. Qd2 Be8 24. h6 g5 25. Qb2 Bd7 26. Qa3 Rfe8 27. Bxc5 Bh2 28. Re1 Bf5 29. Rxe8+ Rxe8 30. Be3 Kf7 31. Ke2 Be5 32. Kd2 Bg4 33. 1. d4 Nf6 2. c4 e6 3. Nf3 d5 4. g3 Be7 5. Bg2 O-O 6. O-O dxc4 7. Qc2 a6 8. 1. d4 Nf6 2. c4 g6 3. f3 d5 4. cxd5 Nxd5 5. e4 Nb6 6. Nc3 Bg7 7. Be3 O-O 8.
cxd5 28. Nxe5 d4 29. Qa3 a5 30. Nxb5 Bxb5 31. Rxd4 Re6 32. Qxe7 Rxe7 33. 45. Kd3 f6 46. gxf6+ Kxf6 47. Rh8 Kg7 48. Re8 Kh6 49. a3 Kg5 50. Rh8 h6 51. Rh7 Re6 52. Rg7+ Kf6 53. Rh7 Ke5 54. Rg7 Kf4 55. b4 axb4 56. axb4 Nc6 57.
b5 Ne5+ 58. Kd4 Nxg4 59. Kc5 Re5+ 60. Kc6 Rxh5 61. b6 Ne5+ 62. Kc7 Nc4 63. 1. e4 c5 2. Nf3 d6 3. d4 cxd4 4. Nxd4 Nf6 5. Nc3 a6 6. Be3 e6 7. a4 Nc6 8. Bxc6 27. Rd4 e5 28. fxe5 Qxe5 29. Be2 g5 30. Qe3 Qxe3+ 31. Rxe3 Rf4 32. Rxf4 Rxf4 33. Rg3 d4 34. Bf3 Bxf3 35. gxf3 Kd7 36. Kd2 Kd6 37. Kd3 a5 38. Nde7 21. Rcd1 Qg7 22. Nd2 Bd5 23. e4 Be6 24. exf5 Nxf5 25. Rde1 Rfd8 26. Be4 Nfe7 27. f3 Bf5 28. Qc2 Rd7 29. Nc4 b5 30. cxb6 cxb6 31. Ne3 Bh3 32. Rf2 Be6 33. Qb2 b5 34. Rc1 Nd4 35. Rc5 Rc8 36. Nxd4 exd4 37. Rxc8+ Nxc8 38. Nf5 Qe5 39. f4 gxf4 40. Rxf4 Ne7 41. Nh4 Qc5 42. Qf2 Kg7 43. Nf5+ Bxf5 44. 8. Rc1 Qa5 9. Qd2 O-O 10. Nf3 Bg4 11. Ng5 Na6 12. h3 Bd7 13. Bd3 Rac8 14.
d5 c4 15. Bb1 Nc5 16. Bd4 Bxd4 17. cxd4 c3 18. Rxc3 Nd3+ 19. Rxd3 Rc1+ 20. Ke2 Qxd2+ 21. Kxd2 Rxh1 22. Rb3 b5 23. Nf3 f6 24. Ne1 a5 25. Rc3 Rc8 26. 1. d4 Nf6 2. c4 e6 3. Nc3 Bb4 4. e3 O-O 5. Bd3 d5 6. Nf3 dxc4 7. Bxc4 c5 8. Rxd5 21. Rxd5 Rxd5 22. Rxd5 Ne5 23. Rxe5 Bxf3 24. Qxf3 Qxe5 25. Qe2 g6 26. Qd2 Bg7 27. Qd8+ Kh7 28. Qd7 a5 29. Bxb6 Qxb2 30. Bc7 Qxa3 31. Qxf7 Qc5 32. 1. d4 Nf6 2. c4 e6 3. Nc3 Bb4 4. Nf3 d5 5. cxd5 exd5 6. Bg5 h6 7. Bh4 c5 8.
dxc5 Nbd7 9. e3 Qa5 10. Nd2 Bxc3 11. bxc3 Qxc5 12. Rc1 O-O 13. Be2 Qa3 14. O-O Qxa2 15. c4 Ne4 16. Nxe4 dxe4 17. Be7 Re8 18. Bd6 Nf6 19. Ra1 Qb2 20. 32. c4 Qxc4 33. Rb4 Qc6 34. Rd4 f6 35. Kh1 Kf7 36. Rd6 Qb5 37. Kh2 h4 38. Bf4 Qf5 39. Rc6 Kg6 40. Rc7 e5 41. Be3 Be6 42. Qb4 Rg7 43. Rxg7+ Kxg7 44. 8. e3 g5 9. Bg3 Ne4 10. Nd2 Nxg3 11. fxg3 Nb6 12. Bd3 Qe7 13. Qf3 Be6 14.
a3 Bxc3 15. bxc3 O-O-O 16. a4 Bd7 17. a5 Na4 18. a6 Rhe8 19. Kf2 Kb8 20. Rhe1 Nxc3 21. axb7 Qb4 22. Kg1 Qb2 23. Nf1 f5 24. Ra5 Ba4 25. Rc5 Rf8 26.
h3 Rf6 27. Nh2 Rdf8 28. Qf1 Ne4 29. Re2 Qa3 30. Bxe4 fxe4 31. Qe1 c6 32. Ra5 Qb3 33. Qa1 Qd1+ 34. Qxd1 Bxd1 35. Re1 Bh5 36. g4 Be8 37. Rea1 Rf2 38. 32. Bd1 Rb4 33. Ke3 Ke7 34. g4 f6 35. g5 fxg5 36. fxg5 a5 37. Kf4 Rb5 38. Rc3 Kd6 39. Bc2 Rb4 40. Rg3 Ke7 41. Rd3 Rb5 42. Rc3 Kd7 43. Bd1 Kd6 44. Rd3+ Ke7 45. Rd2 Bxb3 46. Bxb3 Rxb3 47. Rd5 a4 48. Ra5 a3 49. Ke5 Kf7 50. Re8 15. Ne4 Na6 16. Rfc1 Ba8 17. Nc5 Nxc5 18. Bxc5 e4 19. dxe4 Bxc5 20. Rxc5 Rxe4 21. Qc3 Re6 22. e3 Rd6 23. h3 h6 24. Rc1 Rd3 25. Qb2 Rd1+ 26. 1. e4 c5 2. Nf3 d6 3. d4 cxd4 4. Nxd4 Nf6 5. Nc3 Nc6 6. Bg5 e6 7. Qd2 a6 8. 21. R3d2 Ba6 22. Qf3 a4 23. Nce2 Bb7 24. Qd3 Rc5 25. c4 Kf8 26. b3 Rg8 27.
bxa4 Qa6 28. Nb5 Kg7 29. Ned4 Qxa4 30. f5 Re5 31. Re1 Kh8 32. Nf3 exf5 33. 8. exd4 Be7 9. O-O O-O 10. Re1 Bf6 11. Ne4 b6 12. a3 Bb7 13. Qd3 Nce7 14. Bd2 Rc8 15. Rac1 Ng6 16. g3 Be7 17. h4 Nf6 18. Nxf6+ Bxf6 19. Bb4 Ne7 20. 32. Rc8 Bd8 33. Ba6 Kg7 34. Bc4 h6 35. Kg2 g5 36. hxg5 hxg5 37. Ra8 Kf6 38. Be2 Rh8 39. Rb8 Ke7 40. Rb7+ Kf6 41. Rb8 Ke7 42. Rb7+ Ke8 43. Bb5+ Kf8 44. 8. Qd2 Qxd2 9. Nxd2 a6 10. c4 Nf6 11. h3 e5 12. N4b3 Nc6 13. Rfd1 Be6 14.
gxh6 20. f5 Bxf5 21. gxf5 Rxe5 22. Rf1 Kd7 23. Rad1+ Ke7 24. Rfe1 Kf6 25. 1. d4 Nf6 2. c4 e6 3. Nc3 Bb4 4. Nf3 O-O 5. Bg5 c5 6. Rc1 h6 7. Bh4 cxd4 8. Nxd4 d5 9. Bxf6 Qxf6 10. cxd5 Rd8 11. e3 Rxd5 12. Qb3 Rxd4 13. exd4 Nc6 14. Bb5 Qf4 15. O-O Nxd4 16. Qd1 Bxc3 17. Rxc3 e5 18. Bc4 Bd7 19. Qc1 Qf6 20. Nxh5 39. Qg4+ Kf6 40. Qxh5 Qxf2 41. Qh6+ Ke7 42. Qg7+ Ke6 43. Qg4+ Ke7 44. 8. Bxc6+ Nxc6 9. Be3 e5 10. Rc1 b6 11. b4 Nxb4 12. Nxe5 Bd6 13. a3 Bxe5 14.
axb4 cxb4 15. Nd5 O-O 16. Bxb6 Qg5 17. O-O Bh3 18. Qf3 Bg4 19. Qe3 Qxe3 20.
fxe3 Be2 21. Rf5 f6 22. Nxb4 a5 23. Nc6 Bxd3 24. Nxe5 fxe5 25. Rxe5 a4 26. 1. Nf3 Nf6 2. c4 c5 3. Nc3 Nc6 4. g3 d5 5. cxd5 Nxd5 6. Bg2 Nc7 7. a3 g6 8. Rdb8 51. Na4 R3b5 52. Rd1 Bf6 53. Rb1 Nd7 54. Rh1 Nb6 55. Naxb6 axb6 56. 69. e4 Rd4 70. Rhd1 Qh3 71. Rh1 Qd7 72. Rhf1 f5 73. e5 e6 74. Rfd1 Qb7 75.
a4 Ra5 76. Nxa5 bxa5 77. Rdc1 Bf8 78. Rc3 Kf7 79. Qh1 Ke8 80. Rc4 Kd7 81. Qe1 Qb6 82. Qc3 Be7 83. Rc1 Rd5 84. Qc2 Kc7 85. Rd1 Rd4 86. Qa2 Rd5 87. Rdc1 Kb7 88. Qa3 Qd8 89. Rd1 Rd4 90. Qc1 Qd5 91. Kf2 Qd8 92. Qc3 Qb6 93. Be7 100. Rc1 Bf8 101. Qd2 Be7 102. R1c3 Bf8 103. Qf2 Kb7 104. Qg2 Be7 105. 111. Rdc2 Bf8 112. R2c3 Be7 113. Qh1 Bf8 114. Rxd4 cxd4 115. Rc4 Bb4 116. 1. e4 c5 2. Nf3 d6 3. d4 cxd4 4. Nxd4 Nf6 5. Nc3 a6 6. f3 e6 7. Be3 b5 8.
e5 15. bxa6 Bxa6 16. Nb5 Bxb5 17. Bxb5 d4 18. Bxd4 exd4 19. Qxd4 Ra5 20. 26. c4 Bc5 27. f4 Ng6 28. g3 Ke8 29. Rd3 Ne7 30. Qe5 Qxe5 31. fxe5 Nc6 32. Rhd1 Nxe5 33. Rd5 f6 34. Kb2 Ke7 35. Kc3 Bf2 36. Ra1 Rc7 37. Ra2 Be1+ 38. Kb2 Nc6 39. Ra1 Bb4 40. Ra8 Bd6 41. Ra6 Be5+ 42. Ka3 Nb8 43. Raa5 Nc6 44. Ra4 Nd4 45. Rda5 Bd6+ 46. Kb2 Be5 47. Ka3 Nc2+ 48. Ka2 Bd4 49. Rd5 Bc3 50. 14. Qxa5 Nxa5 15. Rfc1 Rfc8 16. Nd2 Rxc1+ 17. Rxc1 Rc8 18. Rxc8+ Bxc8 19. Bf3 Nc6 20. Bc7 Kf8 21. Nb3 Ke8 22. Nc5 e6 23. Bxc6+ bxc6 24. Bb8 a6 25. 56. Nc5 Bc6 57. Kf2 Kh3 58. Kg1 Kg4 59. Nd3 Bb5 60. Nb4 Kh3 61. Na2 Be8 62. Nc3 Kg4 63. Nd1 Bb5 64. Nf2+ Kf3 65. h4 Be8 66. Nd1 Kg3 67. Nc3 Kxh4 68. Kf2 Kg4 69. Ke3 Kf5 70. Kd4 Ke6 71. Kc5 Ke7 72. Nxa4 Bxa4 73. Kb4 Be8 74. 8. Bxf6 Qxf6 9. e3 O-O 10. Be2 Rd8 11. O-O Bf8 12. Rfc1 Ne7 13. b4 a6 14. 39. Qa2 Be7 40. Qb3 Rb7 41. Qc3 Bb4 42. Qc2 Be7 43. Ra6 Rc7 44. Bg2 Qd6 45. Qd6 58. Bd1 Rf7 59. Ra7 Qxf4+ 60. Kh3 Qxf2 61. Rxf7+ Qxf7 62. Qxc6 Qf1+ 63. 1. Nf3 Nf6 2. g3 d5 3. Bg2 c6 4. d3 Bg4 5. Nbd2 Nbd7 6. h3 Bh5 7. g4 Bg6 8. 1. c4 e5 2. Nc3 Nf6 3. Nf3 Nc6 4. g3 Bb4 5. Nd5 Bc5 6. Bg2 O-O 7. O-O d6 8. 27. Qd3 Rd8 28. Rc1 Rd7 29. Bh3 Re7 30. Qg3 Kh8 31. Rc2 Bb8 32. Bg4 d4 33. Kg1 d3 34. Rd2 Qd5 35. Rxd3 Ba7+ 36. Kf1 Qh1+ 37. Ke2 Qe4+ 38. Kd1 Bb8 39. 1. Nf3 c5 2. c4 Nc6 3. Nc3 e5 4. e3 Nf6 5. d4 e4 6. d5 exf3 7. dxc6 bxc6 8. Rxd1+ 27. Nxd1 Bd5 28. Bxd5 cxd5 29. Nc3 Qg1+ 30. Kb2 Qf2+ 31. Ka3 Qd2 32.
f5 Kb7 33. Qb5+ Kc7 34. Qe8 Bd6 35. Qf7+ Kc6 36. Qe8+ Kc7 37. Qf7+ Kc6 38. Rfe8 27. Rxe8+ Rxe8 28. Kh2 Kh7 29. Rb3 Rc8 30. Ra3 Rxc1 31. Ra7 Qf7 32. 38. Nxf5 b3 39. Re2 h5 40. Rb2 Rc3 41. Ng3 Kg6 42. f5+ Kh6 43. Ne2 Rc2 44. Rxc2 bxc2 45. Kg3 Kg5 46. Kf3 Nh6 47. f6 Kxf6 48. Ke3 Nf5+ 49. Kd2 Kg5 50.
g3 h4 51. g4 Nh6 52. Kxc2 Nxg4 53. hxg4 Kxg4 54. Ng1 Kg3 55. Kd2 Kf2 56. 8. O-O O-O 9. Rb1 Qe8 10. Qb3 b6 11. Nh4 Na5 12. Qa3 Rb8 13. Be3 f4 14.
gxf4 Qh5 15. Nf3 Bh3 16. Bxh3 Qxh3 17. Kh1 Rbe8 18. Qb2 e4 19. Ng5 Qh5 20. Nc3 32. Rxc7 Ne4+ 33. Ke1 Nc5 34. Rc8+ Kf7 35. Rc7+ Kf8 36. Rc8+ Kf7 37. 1. c4 e6 2. Nc3 d5 3. d4 Nf6 4. cxd5 exd5 5. Bg5 c6 6. e3 h6 7. Bh4 Be7 8. Bd3 O-O 9. Qc2 Nh5 10. Bxe7 Qxe7 11. Nf3 Nf4 12. Bf1 Nd7 13. O-O-O Ng6 14.
h4 Qf6 15. Bd3 Nb6 16. h5 Ne7 17. Rh4 Bf5 18. Bxf5 Qxf5 19. Qxf5 Nxf5 20. 1. d4 Nf6 2. c4 e6 3. Nf3 b6 4. g3 Ba6 5. b3 d5 6. Bg2 Bb4+ 7. Bd2 Bd6 8. Rxd3 27. Rxd3 Bxg2 28. Qxg2 Rd8 29. Kf1 Kf8 30. Rxd8+ Qxd8 31. Ke2 Qc8 32. 1. e4 e5 2. Nf3 Nc6 3. Bb5 Nf6 4. d3 Bc5 5. c3 O-O 6. O-O Re8 7. Bg5 h6 8. Nxc5 33. Rxe8+ Rxe8 34. Rxb5 Nd7 35. Rxb7 Nxf6 36. Rb2 h5 37. Kf1 Kg7 38. 8. Be3 Qa5 9. Qd2 O-O 10. Rc1 Bg4 11. d5 Nd7 12. c4 Qa3 13. Be2 Bxf3 14. 20. f4 Qxa2 21. f5 b6 22. e5 Qb2 23. Kh1 Qe2 24. Rf2 Qe1+ 25. Kg2 Rac8 26.